THUNDER BAY -- The Friends of the Thunder Bay Conservatory have replaced their outgoing chairwoman. Earlier this week chairwoman Kathleen Ott announced her resignation and named Kevin and Sharon Sidlar as the new co-chairs of the Centennial Botanical Conservatory. “We were looking for somebody that has the same passion,” Ott said Saturday afternoon at the conservatory. 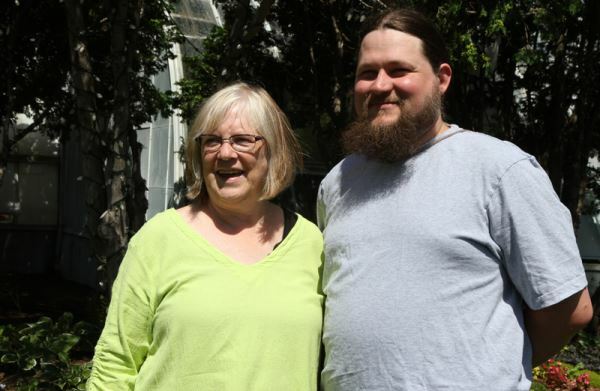 Ott said the Friends of the conservatory wanted to bring positive change to the community and she believes Sharon and Kevin were the perfect choice. “I feel a lot of pride for what the group has done in the past three years,” she said. Kevin Sidlar said the main priority for the facility is getting the upgrades and the repairs it needs. “We are looking to get funding, so we can get everything fixed that needs to be fixed,” Kevin said. Kevin added that they want to get the side wings open so they can operate in full capacity as the conservatory did 50 years ago. Sharon said in the next upcoming weeks they will host their first executive meeting to come up with a solid plan. There are funding applications in to get those upgrades done, but they are waiting for a decision on the funding.